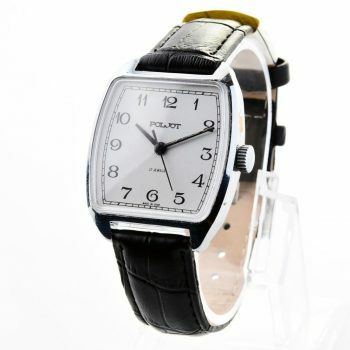 Excellent soviet POLJOT watch, with box! Automatic soviet RAKETA gold-plated watch with quartz movement, with box! Excellent vintage gold-plated wrist watch Vympel, with box! Vostok Amphibia Albatros + genuine leather NATO strap! Vostok Commander’s watch – Komandirskie Submarine!